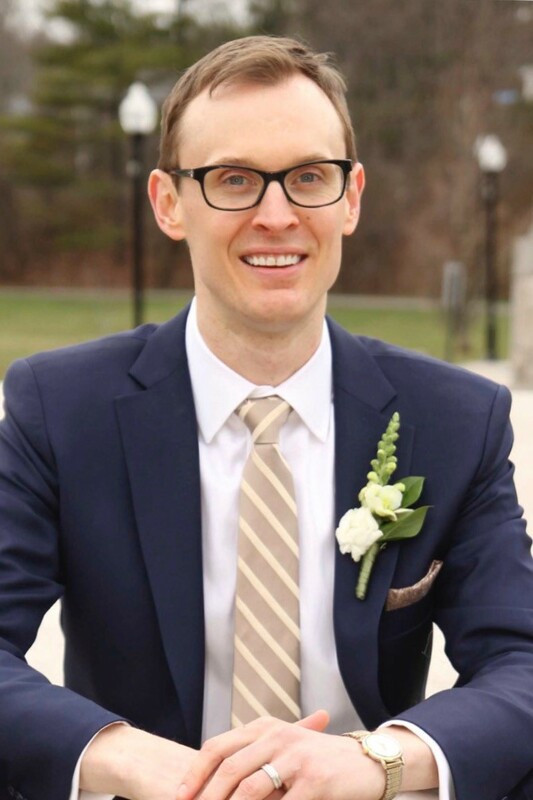 I had the pleasure of interviewing Alexander Lowry, a professor of finance at Gordon College and Executive Director of the school’s Master of Science in Financial Analysis program. After working as a COO at J.P. Morgan for 4.5 years Alexander joined Gordon in September 2018. He’s launching and leading a brand-new master’s program which is challenging the traditional MBA model. In addition Alexander is a Board of Directors Member for fintech and financial services companies. Which means he’s transforming, accelerating, and advising businesses that students he’s educating want to work for. I’ve always been fascinated by finance. After obtaining my MBA at Wharton (with a major in finance) I headed to Wall Street to work at J.P. Morgan. After 4.5 fascinating years there — including the London Whale scandal and address the fallout from the new regulatory regime — it was time for the next challenge. Gordon College, a small, elite, liberal arts college was looking to develop a one-year master’s in finance. The goal was to challenge the traditional MBA model with a faster, better and more affordable alternative. And for it to be a standard bearer in producing students who give as much back to society as they take. The best story produced the inspiration for the company. Every top business school requires a class on ethics — just to say that they have one. My class at Wharton had the same instructor for 40 years. He walked in to a room of ~90 chattering students. He walked to the center of the room and dropped an enormous manila folder which had a huge thud sound. All the students stopped talking and turned to see what caused the noise. I was stunned. Surely there must be a better way to teach elite finance … a way that doesn’t lead to so much rule breaking. That seed germinated the idea of a finance program grounded in ethics. One that produces students with the same technical training as the top business schools but also ensures students are focused on doing good while doing well. It’s all about the employees and creating the right culture. After working 100-hour weeks on Wall Street I grew weary of watching the terrible behaviors that were tolerated in finance. The big firms turn a blind eye to mid-level and junior staff being treated poorly by upper management. In this day and age its abhorrent that senior managers are allowed to yell at and berate their staff. Attracting top talent is so hard. Why would any firm shoot itself in the foot and alienate the very poor they worked so hard to recruit. Compensation only covers so many warts; people will eventually walk away from a large paycheck if they don’t feel valued and respected. Young people are leaving financial services in droves. CEOs need to ensure they hire the right talent. Think about the culture your top team sets. That trickles down throughout the organization. Your people are your most important asset. Treat them all — and not just monetarily — and they’ll ensure your business is successful. It doesn’t matter what your product is because without your staff you won’t have anything. None of us are able to achieve success without some help along the way. Is there a particular person who you are grateful towards who helped get you to where you are? Can you share a story or example? Tom Cole. He’s the Co-Head of U.S. Leveraged Finance for Citigroup Global Markets. He’s my mentor and a very dear friend. Tom demonstrated for me — meaning walked the walk, not just talked the talk — how to be both successful in business and a man of principle. Tom has reached the upper echelon of his profession and does so with a calm demeanor, kind heart and a sense of purpose. For Tom life has always been so much more than just work. Family and faith come first, while still being wildly successful and work. As a new father and fairly newly married, I’m still learning how to manage all the various key parts of life. Tom has been my guide along the way. I’m blessed to have him in my life! Digital Currency is not Going Anywhere — While bitcoin will have a long way to go before universal acceptance like fiat currencies, it seems to be getting there, fast. Bitcoin as Peer-to-Peer Remittance — As compared to traditional remittance services, bitcoin remittances fees are much more affordable and the funds transfer time ranges from instant to mere hours instead of days. Robo-Advisors — Robo-advisors are fund managers without the high commission rate. Search Engines for Financial Information — This has significantly reduced the time that finance professionals need to conduct research, which should lead to price slashing in financial advice services. Non-Bank, Peer-to-Peer Lending Marketplace — Individuals and small businesses can now get access to funding from individuals through P2P lending marketplace, where multiple lending platforms now exist to connect borrowers and lenders. My father passed away six years ago. I was amazed at his funeral service how many of his colleagues shared the mantra my father had always said to them: just do the right thing! So simple. And they, in turn, had each adopted the philosophy and were using it to focus their decision making. I’ve also adopted this mindset and have used it to build Gordon College’s Master of Science in Financial Analysis program. Our emphasis is ethical decision making and doing well while doing good. So my father’s advice and legacy lives on. As someone now working within academia I’d love to see the industry shaken a bit. Not broken, just tweaked. The levels of debt students graduate college and graduate school with are staggering. They’re simply unsustainable. Somehow education sees a mind bobbling rate of inflation attached to the sticker price for school. But why? There hasn’t been a step change in the quality of education. As a result, students are being forced to find ways to shrink their debt load, such as going to less prestigious schools where there’s a better financial aid package, or trying to cram four years worth of work into three years to save on tuition. Universities need to find ways to deliver the highest value to students at a reasonable cost. The industry is rife for change. That’s one of our drivers in launch the Master of Science in Financial Analysis program at Gordon College. MBA programs, however, cost upwards of $100,000 — sometimes nearly $200,000, depending on the institution. In addition, the full-time nature of these programs requires students to trade the office for the classroom for two years. The costs, in both time and money, mean that some individuals might be better off considering alternatives to business school. Fortunately, shorter, more flexible options exist without compromising the quality and prestige of a traditional MBA. In response to student demand for these types of alternative programs, schools are enhancing offerings in specialized areas — from science of management to international finance. These specialty programs, which usually are 12 months long, often include elements of the typical MBA curriculum (such as classes in finance or advanced mathematics skills), but cut through the clutter of an MBA by focusing more on the technical and less on the general managerial skills. Specialized business degrees offer entrance to students with just a year or two years of experience. There is an array of degrees for those set on a specific career path. These programs, which are a deep dive into subject areas, are a fast-track to a successful career. You won’t get marketing or strategy, but you may get all finance, all the time. In terms of quantitative finance skills and the shorter time period, it wins. You learn finance at a detailed level you couldn’t get in a typical MBA program. And employers are seeking experts in a field, not generalists. Grad school is expensive. But you don’t have to pay so much to further your education. While MBA tuition averages $140,000 and can run as high as $200,000, a one-year master’s will set you back, on average, only about $30,000. And since you’re able to jump back into the marketplace a year earlier, your extra earnings are a huge win. We’re doing our part at Gordon College the change education. We hope others will follow suit.